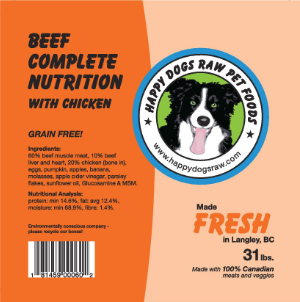 We also test our food for salmonella and E. coli regularly and we are proud to say that Happy Dogs Raw Food has tested Negative for both, every single time. For more information visit our “About our Food” Page! That’s right, its just plain ground chicken, bones and all. High meat content with no extra added skin or bones. 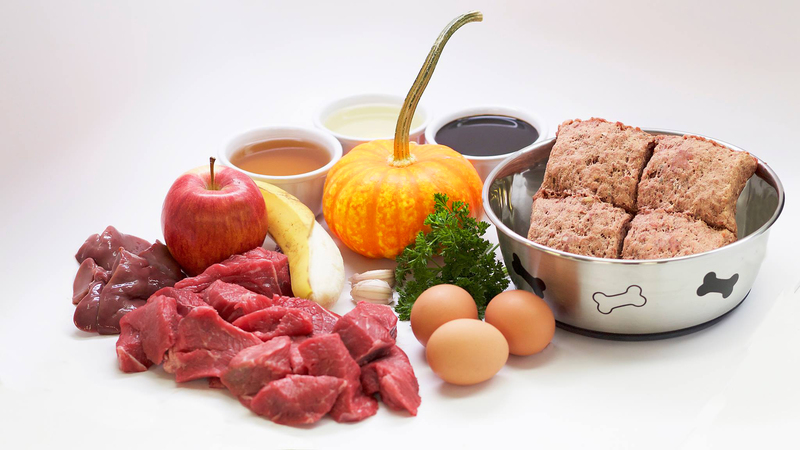 In general, turkey meat tends to be more lean and slightly more digestible than some other proteins so it’s a good option for dogs with weight or digestive issues. We have also noticed that a lot of dogs with skin allergies do better on Turkey. 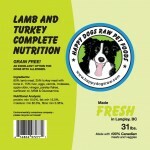 Lamb and Turkey Complete Nutrition Blend! 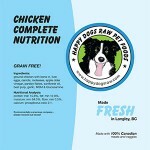 This blend is made specially as a hypoallergenic food for dogs with food allergies. 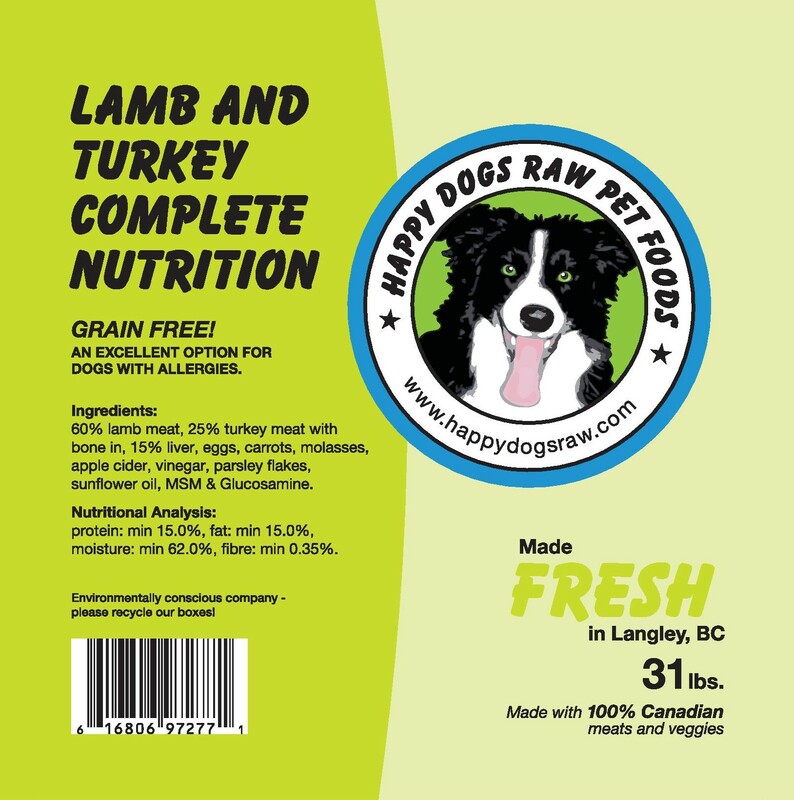 Both Lamb and Turkey are generally “allergy-dog friendly” meats. 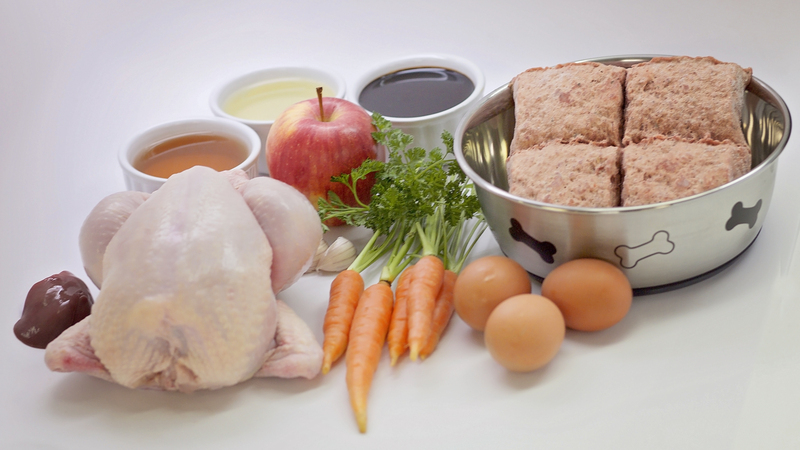 Our lamb is premium meat cuts, human consumption graded (of course) and your dog will LOVE it! Tripe is the delicacy of the dog world! It is easily digested, full of nutrients and many dogs who are suffering from digestive or other ailments do VERY well on tripe! The downside to tripe, its stinks to our noses, especially when fresh (dogs, however, think it smells fantastic!). If you’re a little sensitive to the smell, just feed it frozen. 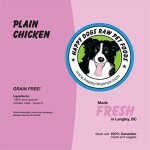 Whole, fresh, 100% Canadian turkey necks for your dog’s enjoyment! 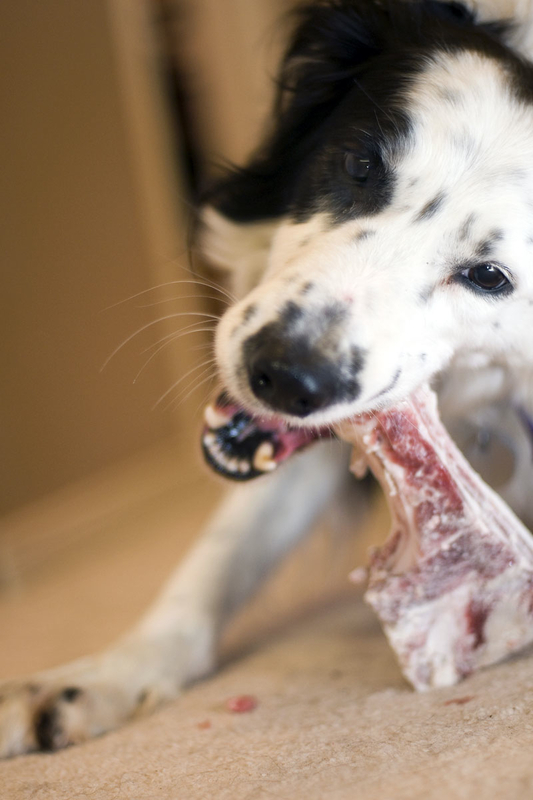 Our 100% Canadian meaty beef rib bones are fresh and meaty for your dog’s enjoyment! Our marrow bones are 100% Canadian and come from free range, non-medicated bovine to provide a fresh and long lasting chew for your dog’s enjoyment! To receive a complete price list, please contact the location nearest to you! To view a list of our locations and delivery options CLICK HERE!